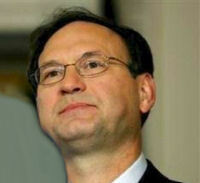 The Catholic Media Coalition (www.catholicmediacoalition.org) fully supports the nomination of Judge Samuel Alito to replace Justice Sandra Day O'Connor on the Supreme Court of the United States. Judge Alito is a capable, experienced judge and a man of high moral character who can be trusted to uphold and defend the Constitution as intended by its Framers. President Bush promised to nominate candidates who will strictly interpret the Constitution along the line of Justices Scalia and Thomas. We believe the nomination of Judge Samuel Alito is indicative of that promise and urge speedy confirmation of this highly qualified nominee.